Mobile App - Kelvi - Hypothermia Devices, Inc.
Take control, whether in the same room or from halfway around the world. 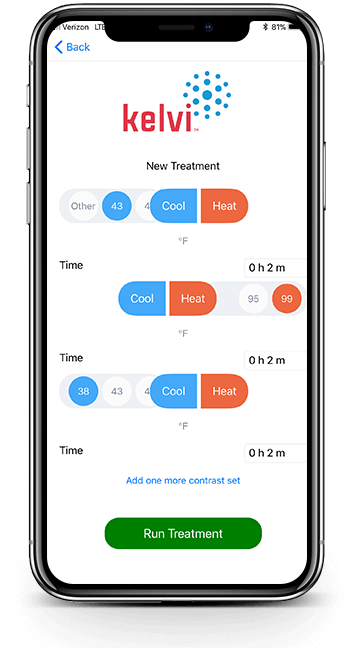 Be first to the future with Kelvi Pro™ — the only internet- and Bluetooth-connected cryo/thermotherapy device with its own mobile app. Designed for athletes, athletic trainers and therapists, the Kelvi app runs on iOS and Android devices, and puts pinpoint, precise control of therapy at your fingertips.